The N300 NAS models include rotational vibration (RV) sensors and are made to deliver sustained data transfer speeds up to 260 MB/s for 14 TB or up to 253 MB/s for 12 TB. With support for up to 8 HDD multi-RAID systems, the new N300 models are highly scalable to the users' NAS configurations as their data storage needs evolve and large amounts of data need to be efficiently stored and accessed daily. 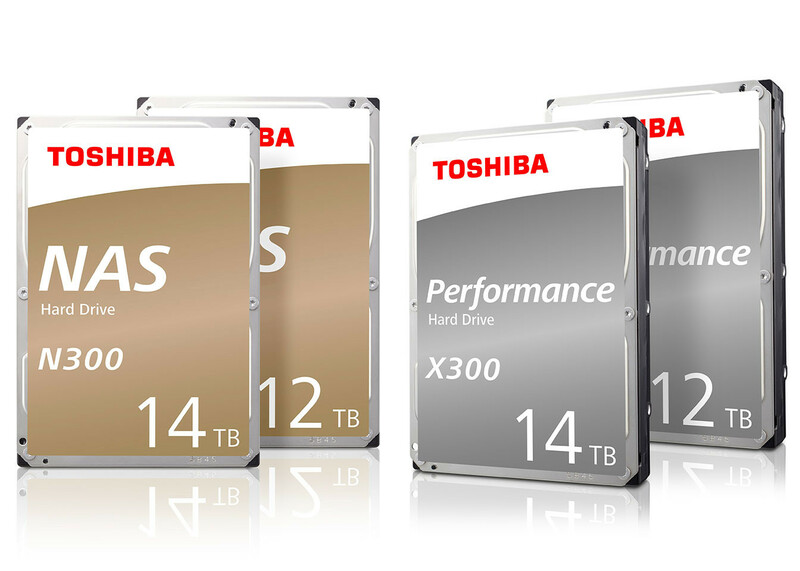 "The new drives deliver exceptional performance, storage, reliability and power efficiency, using advanced technologies that will continue to increase capacity and keep Toshiba as an innovator in the storage space," said Michael Cassidy, Vice President, Consumer HDD, Americas, at Toshiba America Electronic Components, Inc. The X300 Performance Hard Drive series delivers extreme performance and robust capacity for creative and professional applications, including graphic design, animation, photo and video editing, and PC gaming. With up to 14 TB, the new hard drives easily store and provide access to even the fastest-growing gaming libraries. CRT analogue doesn't give up yet! Great XD , we need to see prices. Some people think SSDs should have filled the worlds storage needs several years ago, no matter the application. That's kinda what I thought but what do cathode-ray tubes have to do with anything? CRT's are based on the principles of manipulating magnetic fields. HDD's operate differently but are still based on that same concept.